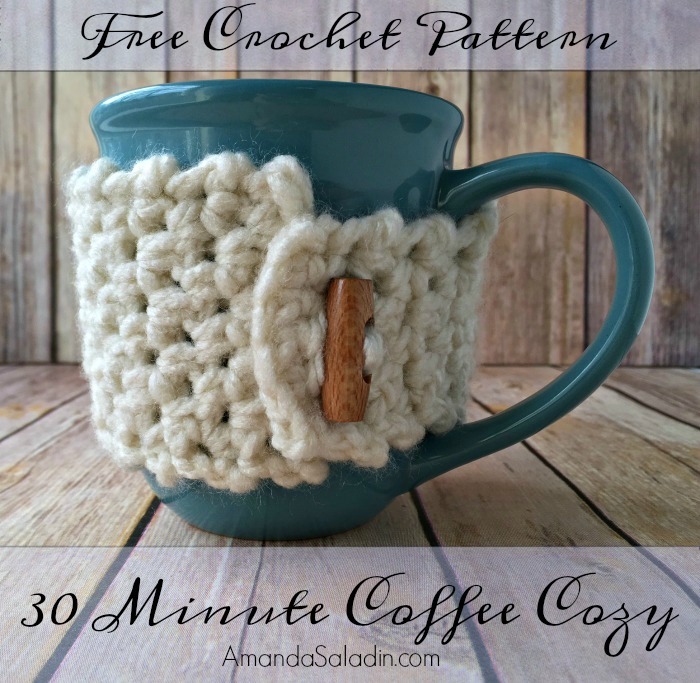 30 Minute Coffee Cozy - Free Crochet Pattern - love. life. yarn. Notes: This length worked for my particular cup. 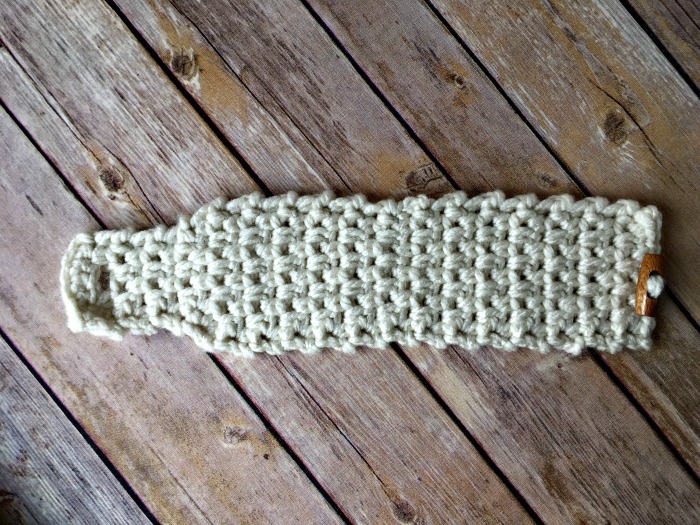 After you work quite a few rows keep trying it on your cup to see how long it needs to be. You may find it needs to be a little shorter or longer than mine. Row 1: Sc in 2nd ch from hook and each ch across; turn – 6 sts. 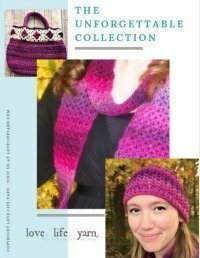 Row 2 (Buttonhole row): Ch 1, sc 2, ch 2, skip 2 sc, sc in last 2 sts; turn. Row 3: Ch 1, sc in first st, *ch 1, skip next st, sc in next st; repeat from * to last st, sc in last st; turn. Rows 4-6: Ch 1, sc in first sc, *skip next sc, ch 1, sc in next ch-1 space; repeat from * to last st, sc in last st; turn. Row 7: Ch 1, 2 sc in first st, *ch 1, skip next sc, sc in next ch-1 space; repeat from * to last st, 2 sc in last st; turn – 8 sts. Row 8: Ch 1, 2 sc in first sc, sc, *ch 1, skip next sc, sc in ch-1 space; repeat from * one time, ch 1, 2 sc in last sc; turn – 10 sts. Row 9: Ch 1, sc in first sc, *ch 1, skip next sc, sc in ch-1 space; repeat to last 3 sts, ch 1, sc in last 2 sts; turn. Rows 10-34: Ch 1, sc in first sc, *ch 1, skip next sc, sc in ch-1 space; repeat from * to last st, sc in last sc; turn. Fasten off. Sew toggle clasp in place. That’s it! Pair with some coffee or gift card and you’re good to go!